As recent problems at a major electric car manufacturer show, it is not easy to maintain synchrony between a factory’s assembly lines to ascertain a steady and faithful output of products. This very much holds true for cells as well. Cells contain numerous production lines that intersect at a dizzying level of complexity, and these production lines go in overdrive when a cell prepares to divide into two daughter cells. Cell division is a highly complex and resource-demanding process, in which most cellular components must be duplicated in a relatively short period of time. Among other things, this involves the synthesis of numerous new proteins, a process that consumes a large portion of the cell’s energy. Cells must therefore carefully regulate this process to make sure they do not run out of resources, which could have disastrous consequences for the cell and potentially the entire organism. However, the underlying molecular mechanisms by which cells coordinate cell division with the process of protein synthesis is not well understood. One way the cell regulates protein production occurs at the level of tRNA synthesis. tRNAs are non-coding RNA molecules that bring amino acids to the cellular protein synthesis machinery (the ribosome). Thereby, tRNAs help convert the information contained in mRNA molecules into protein. tRNA production itself is carefully controlled by the cell, and depends on numerous intra- and extracellular cues, such as the cellular nutrient status and overall well-being of the cell. Interestingly, cancer cells frequently bypass the regulatory mechanisms that control synthesis of tRNAs to increase their tRNA levels. These higher levels of tRNA may serve to facilitate protein production, which is important for the high rate of cancer cell division. 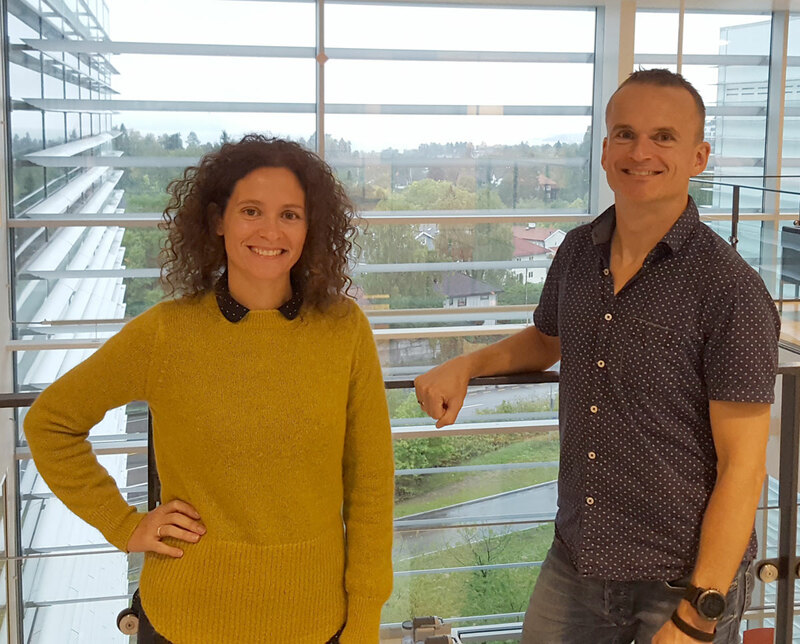 A new study by a team of researchers from the Radium Hospital and the Norwegian Centre of Excellence CanCell provides novel in sight in the mechanisms by which cells maintain synchrony in their biosynthetic processes. Using the model organism budding yeast, Herrera et al discovered a new regulatory mechanism by which cells may keep protein synthesis in synchrony with cell division. In brief, they discovered that a protein called cyclin dependent kinase (Cdk1), which is the master regulator of the cell cycle, localizes to tRNA genes during a brief period in the cell cycle. At these genes, it increases the activity of a large protein complex responsible for tRNA synthesis (RNA polymerase III), resulting in a spike in tRNA synthesis. This is likely to be important for the well-being normal cells, because the volume of normal cells increases about two-fold during the cell cycle, and the temporary increase in tRNA synthesis may help maintain stable tRNA levels. So what is the relevance of these findings for cancer research? It is well known that cancer cells have lost the ability to control the activity of Cdk1 (and closely related proteins that regulate the cell cycle). It is also known that increased levels of certain tRNA molecules contribute to cancer cell growth and proliferation, although the link between Cdk1, tRNA synthesis and cell proliferation has remained unclear. The importance of Herrera et al’s findings is that they may have identified a direct mechanism that links these processes, and that targeting Cdk1 may be an effective strategy of reducing the protein synthesis capacity of cancer cells to curb their proliferative potential. As such, these findings further support the long-standing idea that drugs that inhibit cyclin dependent kinases may be powerful agents for treatment of certain types of cancer. Indeed, several such inhibitors are in clinical trial for treatment of breast cancer.